The sons of murdered Saudi journalist Jamal Khashoggi have appealed to Riyadh to return the body of their father so that the grieving family can bury him in a cemetery in the holy city of Medina with the rest of his clan. 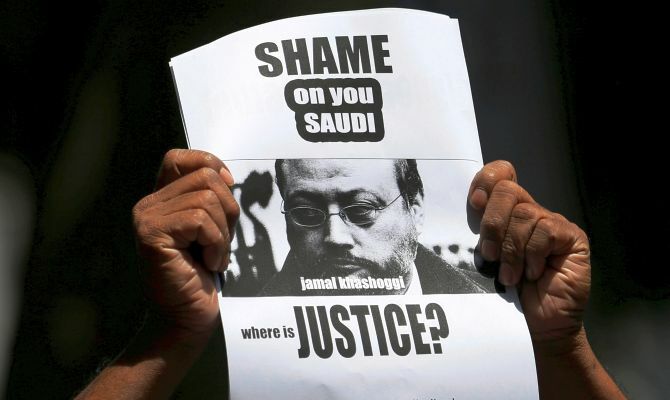 Khashoggi was brutally killed inside Saudi Arabia’s consulate in Istanbul by a hit squad sent from Riyadh on October 2. Authorities in Turkey are still searching for Khashoggi’s remains. Last week, the Turkish chief prosecutor’s office said the 60-year-old’s body was dismembered after he was strangled, while the Washington Post reported investigators were looking into the theory that the body was dissolved in acid. “I really hope that whatever happened wasn’t painful for him, or it was quick. Or he had a peaceful death,” Abdullah Khashoggi, 33, told CNN in Washington with his brother, Salah, 35. Saudi Arabia has presented an evolving narrative about what happened to Khashoggi, a Saudi citizen, when he entered the consulate to get papers for his wedding with a Turkish national. Saudi authorities initially denied all knowledge of his fate before later admitting that a group of rogue operators, many part of Crown Prince Mohammed bin Salman’s inner circle, were responsible. Riyadh has maintained that neither bin Salman nor his father, King Salman, knew of the operation to target Khashoggi. Abdullah and Salah emphasised that their father was not a dissident and has been misunderstood and intentionally misrepresented for political reasons. “The King has stressed that everybody involved will be brought to justice. And I have faith in that...,” Salah said.